2019 marks ten years since the Japanese release of Pokémon HeartGold and SoulSilver. The highly anticipated DS remakes of Pokemon Gold and Silver – released ten years prior – have often been hailed as the perfect Pokémon games, offering a huge variety of content and Pokémon to appease newcomers and veterans alike as they journey through the Johto region. No two games had me waiting in such frantic anticipation as these, checking websites every week to make sure I didn’t miss any kind of updates on the games. Playing them all these years later, then, how far do Pokémon HeartGold and SoulSilver divert from the idealistic adventure many remember embarking on when the games first came out? I believe the games offer up one of the most fun Pokemon experiences to date. The Johto region is an incredibly fun one to explore, with lots of vibrant characters and familiar Pokémon to pick up as you go. One of the smaller additions sees your Pokémon walk beside you, adding a nice personal touch to help you really bond with your team. With 256 creatures to collect, there are a lot of different Pokémon to fill your team with and travel the region. The Pokédex has been updated since the original to reflect a few new evolutions, breathing new life into your team selection. This is all well and good, but the region suffers from a lack of major team diversity. While the number of Pokémon to catch is great, only a select few are really useful and worth adding to your team. Pokémon like Sunkern, Unown, Hoppip, Hoothoot, Ledyn, and Dunsparce are all new, but are ultimately worthless when faced against more powerful and calculated teams. The most useful Johto Pokémon – for example Houndour and Larvitar – can’t even be found until you beat the Pokémon League, rendering them unusable through the brunt of the game. This is a big shame considering they are some of the more creative and effective monsters, meaning teams are usually quite similar considering the lack of helpful Pokémon early in the game. Linked to this is the lack of EXP found in Johto. Following the fourth gym in Ecruteak City, trainers can feasibly go in one of two directions – meaning Pokémon don’t reach very high levels since they have to accommodate for whichever direction is chosen. The game’s relative ease means you are unlikely to reach even close to Level 50 by the end of the game – which makes the Champion an unfairly difficult fight. Again, this is a real shame as the game is enjoyable and balanced up to this point. The game’s later difficulty ironically lies in its ease earlier on. The sense of story is nothing groundbreaking for Pokémon, yet is satisfying and drives the game forward with its interesting characters. There are many events that help build the world and craft Johto as a fan favourite, including Eusine's hunt for the legendary Pokemon Suicune, the conflict with Team Rocket and its four high-ranking Executives and the masterful Champion Lance. These quests craft a narrative that create a great sense of adventure as you traverse the region, cementing the games as beloved by the fans. Perhaps the game’s strongest point is the sheer amount to do in it. 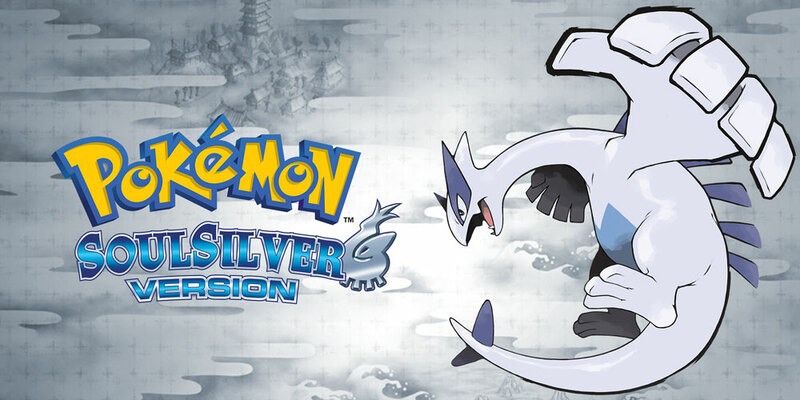 HeartGold and SoulSilver boast both the Johto and Kanto regions, the Battle Frontier, a myriad legendries to catch, gym leader rematches, completing the Pokédex – there is a massive amount to sink your teeth into. This extends beyond the core game and even into minigames with a surprising amount of depth and fun, for example the Pokathalon, which sees each Pokémon given separate stats for different competitions. To say there is little to do in the games simply isn’t true. The Battle Frontier is easily my favourite post-game feature. The area consists of five different facilities where trainers can battle powerful Pokémon with a number of unique rulesets. Whether it be consecutive win streaks, randomly assigned handicaps or rental monsters, these challenges test the skills of all kinds of trainers and encourage new strategies and using different team members. These unique scenarios are immensely fun to play and give a massive sense of satisfaction and achievement as you tackle each one. The Frontier tests are separate from the main game and thus allow you to play in a different way - a great, new challenge on which to embark. The Battle Frontier isn’t the only thing to do once you finish the game; Kanto – the very first Pokemon region – becomes available after conquering Johto. A nostalgic trip for some and an entirely new journey for others, the appeal of its inclusion was vast. 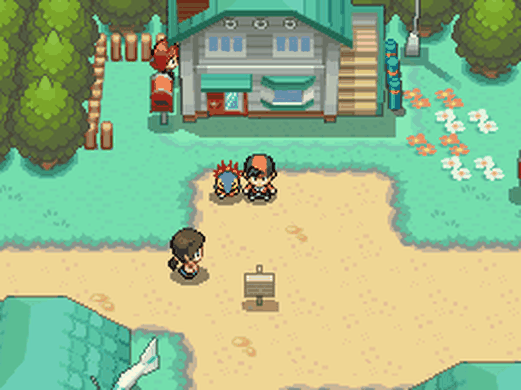 Yet while replaying the game, I noticed there was very little to do in the region other than battle the gym leaders. Wild Pokémon encountered are all weaker versions of the ones you can already find in Johto (save for the final dungeon, Mt. Silver) and trainer battles leave much to be desired. Weaker wild Pokémon makes sense continuity-wise, but in game these encounters act as an unnecessary chore that isn’t useful to the player in the slightest. The addition of two regions, I’d argue, is something that works far greater in theory as opposed to in game. To say there is little to do in the games simply isn’t true. This isn’t to dismiss the region as boring or needless – one of my favourite parts of the game was exploring the Kanto region I thought I was familiar with and discovering new twists in the game’s sprawling DS visuals. I feel Kanto could have been better implemented had wild Pokémon simply been higher levelled and more varied in order to accommodate for the strong gym battles. Furthermore I feel like some extra side quests would have benefited this part of the game in order to build the world of Kanto – its development is quite lacking compared to Johto and appears to rely on one’s sentimentality of games prior. 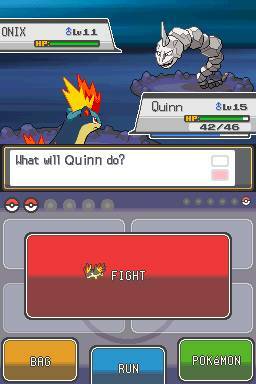 All things considered though, how do HeartGold and SoulSilver stand up today, a decade after their release? I'd argue very well - yet, with many Pokémon games, there are some infuriatingly minor changes that (if rectified) would make the game perfect. The level curve, especially given its criticisms in the original games, is unforgivably cruel, being challenging for all the wrong reasons. This, coupled with more diversity in wild Pokémon selection, would make the region perfect and an absolute joy to explore. Yet despite these issues, the sheer amount of content, the sprawling region and the battles help cement this game as one of my favourites, full stop. The Battle Frontier in particular offers an infinite amount of challenging fun for both veterans and newcomers, on top of exploring an entire new region after becoming the Johto Champion. It's been an absolute pleasure diving back into these games and they are the perfect example of Pokémon titles that, like a fine wine, age beautifully with time.